The Boy Scouts of America organization now welcomes girls to its traditionally male scouting program. In 2019, Boy Scouts will be renamed Scouts BSA, open to both boys and girls ages 11-18. Camp out with BSA Troop 589 and Cub Pack 589. Local girls and boys will be able to learn about Scouts BSA from 4-6 p.m., Sunday, Dec. 16, at the Victoria Rec Center, 8475 Kochia Lane, when Troop 589 hosts a recruiting open house. Girls and boys and their families are invited to meet members of BSA Troop 589 and learn about its programs, activities and service projects. The troop has 45 scouts, and currently three girls are ready to join. The troop needs a minimum of five girls to create a unit within the troop. Girls will be able to earn badges and earn the rank of Eagle Scout, the same as their male counterparts. 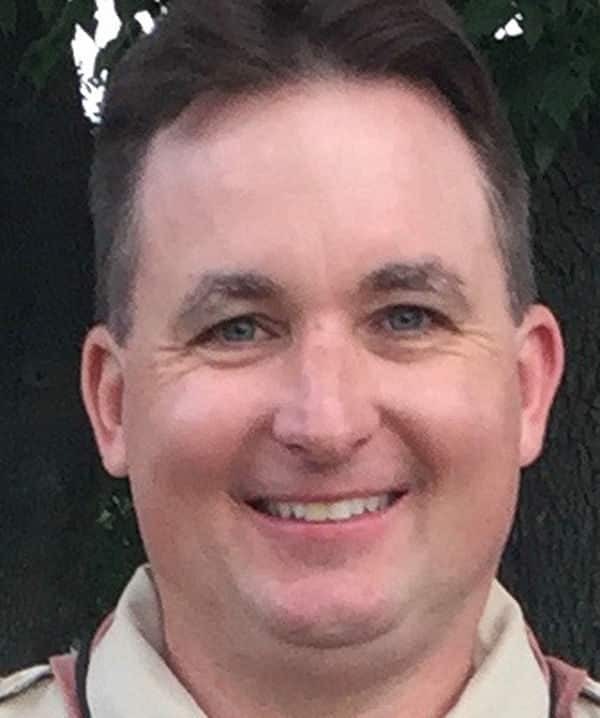 Scoutmaster Scott Patz, a Victoria resident, was happy to talk about BSA Troop 589 and welcoming girls. While Patz never had the opportunity to join the Boy Scouts as a youth, both of his sons, Christopher and Nicholas, started scouting as Cub Scouts. Now in sixth and ninth grade, they are members of BSA Troop 589. It’s a family thing, with Patz’s wife, Hillary, serving as the troop’s committee chair. Patz said there’s been interest expressed by girls to join the troop. “Of course, no one wants to be the first, but once girls see there are others girls involved, it’ll be easier,” he said. Earlier this year, the Cub Scouts opened its program to girls in grades K-5, welcoming 3,000 girls, according to a press release. Cub Pack 589 has three girls who plan to cross over to Troop 589 in the new year, along with boys from Cub Pack 391 of Chaska. 1 It sounds like Scouts BSA will be more inclusive for families with girls. That is exactly the feedback that the Scouts have been hearing. So often families are dropping off the boys at their meetings, leaving out their sisters. This makes it something that involves the entire family, both in Cub Scouts and Scouts. Scouting builds a lot of character development, leadership building, good ethics, moral decision-making. The scout oath and scout laws are the building blocks in all our leadership, which is youth-led; the adult leaders’ role is to work with the scouts to assist them. 2 Some might point out that girls have Girls Scouts, so why should they consider joining Scouts BSA? It’s not to take away from Girl Scouts. It’s just another outlet for families. Maybe Girl Scouts didn’t work out for the family. We’re providing another aspect. The girls learn the exact same skills and fulfill the same requirements as the boys, and do the same decision-making and leadership. 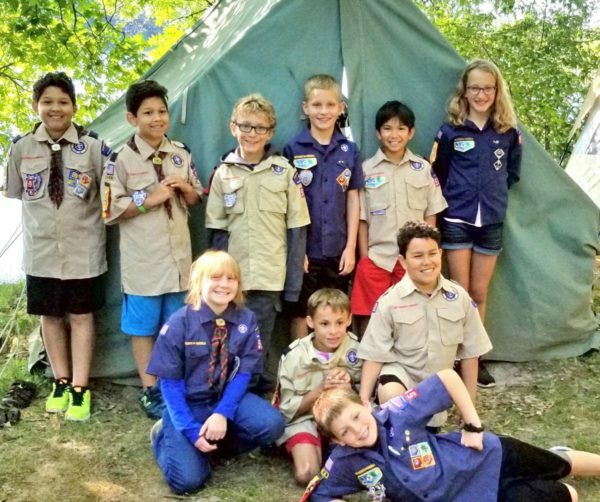 3 What do you want people to know about Troop 589 and its history? Our troop was chartered about 45 years ago. We were one of the first troops in the west metro. It was originally chartered in Chaska, and then the Jonathan organizations. About six to seven years ago, we rechartered with Mount Olivet Lutheran West Campus, where we meet. Our scouts come from Victoria, Chaska, Minnetonka, and District 112 and private schools. For more information, contact Patz at scottpatz@gmail.com, or call 612-396-7795.